Noise Level: Moderate to rather loud! 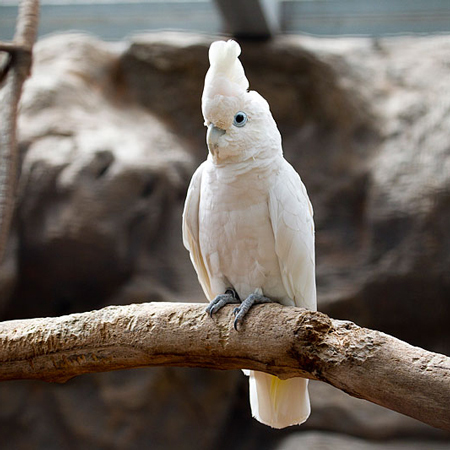 Despite their smaller stature, Goffin’s Cockatoo has the same intelligence, and affectionate disposition that the larger cockatoos are known for. They are very active and playful birds. This can be rather severe as these birds become very easily bored. 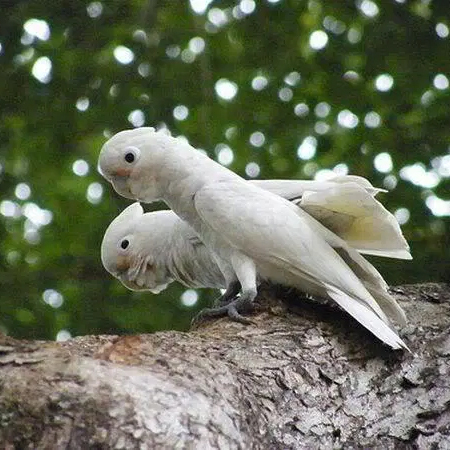 Loving and affectionate, Goffin’s cockatoos will bond strongly with their owners and require daily interaction to maintain their mental and emotional health. They also need many toys to stimulate them. These birds simply cannot thrive if they are neglected, and will resort to really destructive behaviours (including feather plucking) if their constant need for interaction is not being met. A cage large enough for the bird to exercise its wings should be provided. Your bird will expect (and demand!) to be out of its cage a lot of the time! A good selection of toys should be provided and rotating them through the cage a few at a time can help to provide entertainment and stimulation. Perches should be of natural wood i.e. willow or apple, if possible, as this keeps the feet and claws healthy. A medium-sized dish should be offered DAILY for the bird to bathe in. A healthy diet for a Goffin’s Cockatoo should ideally consist of high quality pellets, which should form the foundation of the diet, a moderate amount of seed, and daily helpings of fresh fruit and vegetables. 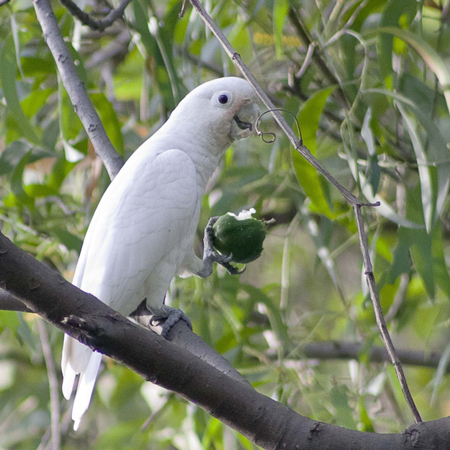 As with all cockatoos, these cockatoos can be prone to weight gain, so their fat intake should be monitored by their owners. Rich foods such as leafy green vegetables (kale, mustard greens, Swiss chard, spinach). In summarising, Goffin’s cockatoos are very active and playful birds, but are definitely not the ideal companion bird for everyone. Potential owners really do need to carefully evaluate their ability to commit to the needs of these birds for their expected life span, and be sure they understand the best way to care for these wonderful parrots.